Located in the center of Da Nang, White Snow Hotel is the perfect place to feel Danang and the surrounding places. Only 0.3 km from the city center, the hotel’s beautiful location ensures customers can visit tourist attractions quickly and easily. With the main attractions of the city like Phap Lam Pagoda, Cham Museum close, visitors to the hotel are very pleased with this hotel’s location. 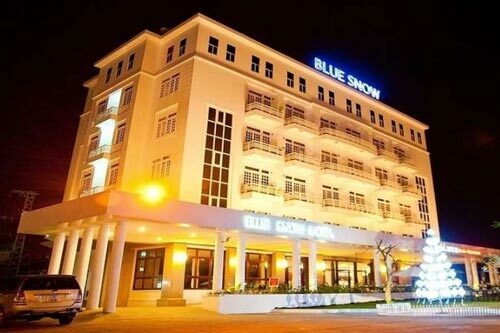 White Snow Hotel also offers many facilities to make your stay unforgettable in Danang. For the comfort and convenience of guests, the hotel offers full Wi-Fi Free all rooms, facilities for disabled, Wi-Fi in public areas, car park, room service. The hotel features 53 beautifully appointed guest rooms, many rooms also have wireless internet access, wireless internet access (complimentary), non smoking rooms, air conditioning, alarm service. Besides, the hotel suggests you the entertainment activities ensure you always been interested in during the holidays. With an ideal location and facilities to match, White Snow Hotel Danang hits the spot in many ways.